2 of the Sky Streak Motorplane in one box. Our best selling motorplane. 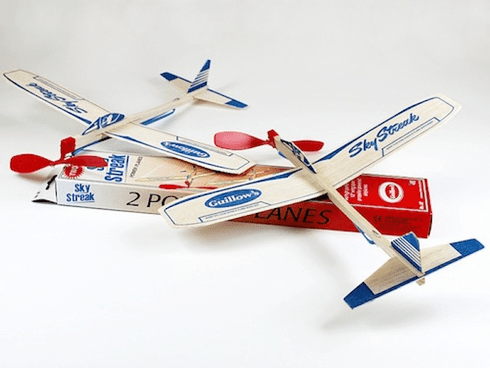 This toy airplane has a one piece wing with a built-in dihedral. The propeller and nose bearing made of hi-impact plastic.